Fat Angelo’s at Elgin Street has always been my favorite. 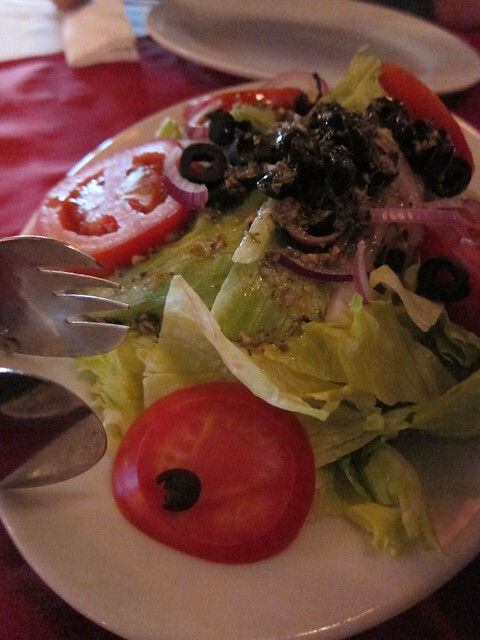 I blogged about the lack of quality in its Italian fare last year, but recommended the place nonetheless as a great place for gathering of friends. After a hiatus of some months, I returned with my better half as an introduction to some of my favorite haunts in Hong Kong. To my surprise, everything and I do mean everything, has went up in price. Something that cost like HK$180 before is now HK$250. It took me by surprise; I had always associated Fat Angelo’s with reasonably priced Italian food. I hesitated in spending that much for a Friday dinner, but as it was the first time for my better half, I went ahead anyway. Was I expecting better Italian fare this time round? I did. The bread was fresh and warm, as usual. 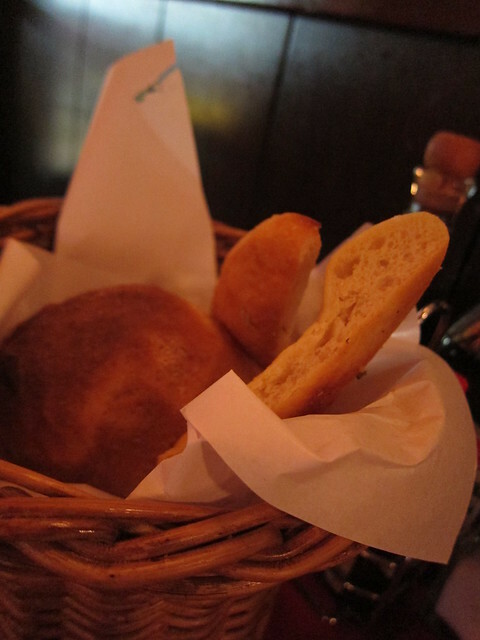 I liked the bread stick to go with my salted butter and olive oil. I am easily satisfied like that.